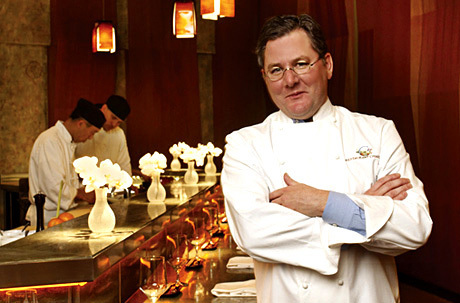 At his New Year’s Eve gala last Saturday Chef Charlie Trotter officially announced to guests and staff that in eight months he retiring (at least for a while) from his famed Chicago restaurant. As word of his decision spread, many stories have appeared listing his many contributions to the improvement of the dining experience in America. 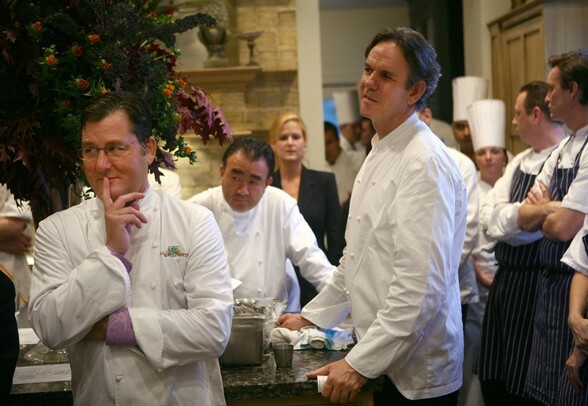 Charlie Trotter was one of the first chefs to introduce a degustation or European style tasting menu, vegetarian menu choices and an increased awareness of local seasonal products including raw foods as well as a chef’s kitchen-side table. And while few can doubt his impact on the front of the house, it must also be acknowledged that his influence on the back of the house was even greater. Chef Trotter set a high standard of both professionalism and creativity for his staff. The young chefs lucky enough to have trained with him call his kitchen and his methods nothing short of perfection. His belief in the combination of classical techniques and daily innovation created a passionate atmosphere that would become the hallmark of an entire generation of chefs who proudly list him on their resume as their mentor. For those not fortunate enough to have worked with him, Trotter leaves a legacy of books that capture his desire for the best - be that the floor service, the wine offered or the cuisine presented. Trotter’s future plans include travel and time to study philosophy and political history. Will he open another restaurant? He hasn’t ruled that out – but not at least at this point. While he travels and studies, we'll just have to wait to see the results (and the directions) of his new efforts take. Let’s wish him well. He is a great chef who made a profound difference – a difference that not only delighted his fortunate guests but made our industry a more creative and professional place for us all! 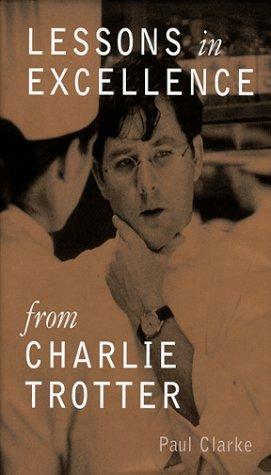 Posted on January 5, 2012 by Ana Kinkaid and filed under Awards, Book, Charities, Chefs, Cooking, Creativity, Cuisine, Culinary History, Gala, Hospitality Industry, Leadership, Professionalism, Restaurants, Style, Sustainablity, Technique, Travel, Wine and tagged Charlie Trotter Chicago Philosophy Retirement.